It’s still smooth sailing for Nelson container customers despite a major shipping line discontinuing its direct service to its port, Port Nelson says. Maersk’s Northern Star service between Tanjung Pelepas, Malaysia and Auckland previously called directly to Nelson for freight services, one of four shipping lines calling in to the city. However, Maersk announced an end to the stopover in late July. 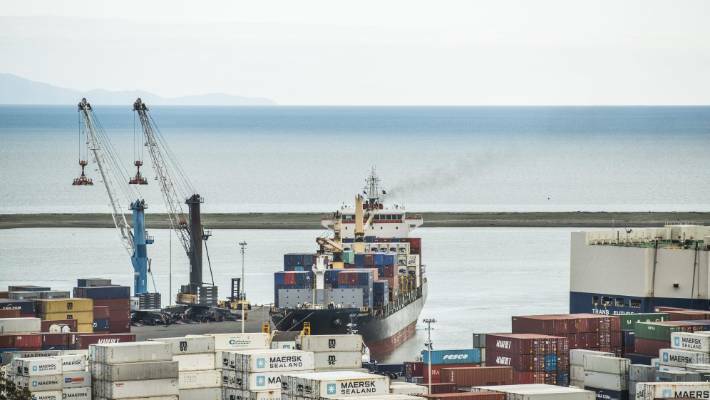 Container traffic shipped through Nelson now went via a feeder service to Tauranga with the Pacifica line to meet onward connections to Asia, the Americas, Pacific Islands and Australia. The move is understood to be in line with a global trend within the shipping industry to use larger vessels in most trades to reduce costs, following heavy financial losses in recent times. Customs Brokers and Freight Forwarders Federation of NZ executive director Rosemarie Dawson said New Zealand was over serviced in terms of the number of ports it has relative to market size. Due to the high costs involved in port visits, carriers were looking to reduce the number of calls they made. With the growing trend towards bigger boats carrying more cargo, the relatively shallow depth at Port Nelson poses a problem for shipping lines. Nelson was one of the smallest ports with the least volume and was heavily reliant on export cargoes, unlike other ports which had a more balanced trade in terms of imports, she said. Nelson also has a relatively shallow draft – the vertical distance between the waterline and the bottom of the hull which determined the minimum depth of water a ship or boat can safely navigate – which posed operational issues for carriers wanting to bring in bigger vessels. Several businesses are understood to have been adversely affected by the loss of Maersk calling directly, with one business owner saying the issue was “a huge problem” for the city. Relying on containers coming from Australia and South America – the owner said the loss of Maersk’s direct line had resulted in infrequent arrivals causing disruption of the supply chain if the product turned up in the wrong order or delayed. “The big shipping companies seem to be by-passing Nelson and they haven’t got their act together with coastal shipping to replace that in time – that’s creating mayhem with our containers, so instead of them coming in 10 a week – we don’t get any, then we get 50. Maersk Line Oceania trade and marketing director Hennie Van Schoor said with the trend of continuously declining ocean freight rates, the company was constantly reviewing the efficiency of its network for serving the New Zealand market. A key consideration was the long distances to main centres and multiple local port calls in NZ when compared with internationally competing markets such as Australia, South Africa and Brazil. The removal of the Northern Star service and a vessel upgrade on the Southern Star service had met the necessary capacity required for its customers, he said. Port Nelson will spend about $29 million to boost its infrastructure, including the redevelopment of a wharf and a new harbour tug. 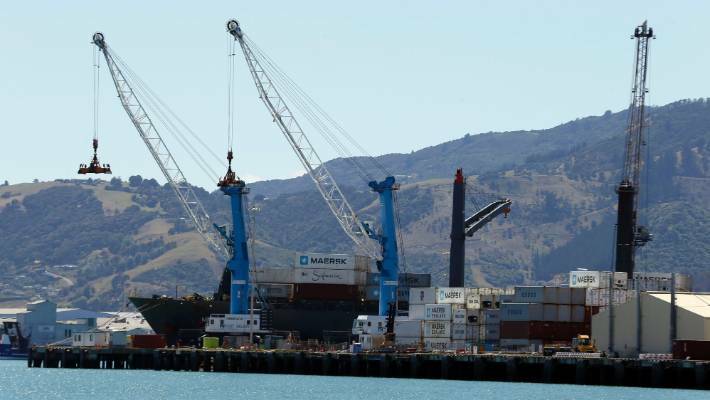 Port Nelson chief executive Martin Byrne said prior to the Northern Star pullout, Nelson’s container needs were serviced by Maersk, ANL, MSC and Pacifica, with CMA CGM stopping in during the fruit season between March and September to collect mainly kiwifruit and wine cargo. He anticipated the port would be back to four weekly container services by March. In the meantime, exporters still had access to a number of trans-shipment and direct options, despite Maersk’s departure. Byrne said the additional announcement of a $29 million investment in the Main Wharf North and a new tug to accommodate larger container vessels demonstrated the large contribution container freight made to port operations. “We wouldn’t be spending that money if it wasn’t needed,” Byrne said. The Port’s 2018 annual report stated total cargo volume of 3.6 million tonnes was well up on the 3.1m reported in 2017, while container volumes grew a further 10 per cent in the last 12 months, from 108,000 to 121,483 total equivalent units. Total vessel visits had also increased from 805 to 887 in the last 12 months. “I suppose it’s a balance for the shipping lines and as the vessels get bigger,” Byrne said. “And we’ve said it for a long time there’s that mix between direct services and trans-shipment feeder services through the likes of Tauranga. 18 December 2018 – Jade Logistics Group, New Zealand’s leading port software company today announced a new business called CargoChain that it believes will revolutionise the way that cargo information is shared across the global supply chain. The CargoChain platform was borne out of witnessing first-hand an inability to share supply chain information amongst multiple interested parties. David Lindsay, CargoChain CEO said “we observed this first with ports and then looked across the entire supply chain, and the problems were the same. Siloed, important information that supply-chain actors didn’t have, but needed, to make better decisions”. “The proposition is made even more powerful as today’s consumers are demanding trust while those involved in the supply chain require full transparency and visibility. We saw the need for a digital platform that provides this by sharing trusted information amongst all supply chain actors. 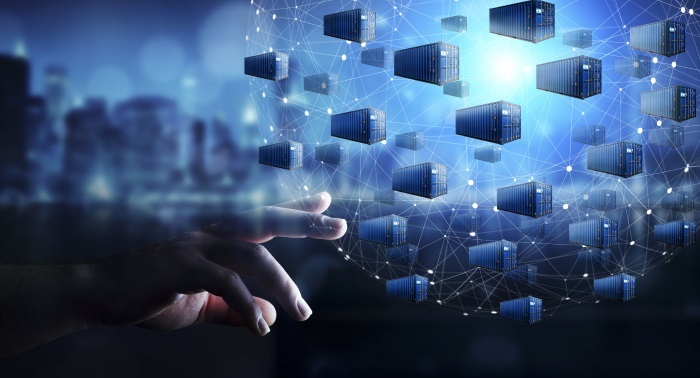 “Blockchain is currently right at the top of the technology hype cycle and most companies understand its importance but are really struggling to understand how they might use it in their business. CargoChain takes this pain away, as it already delivers a working blockchain solution for our customers”. While blockchain is an important part of CargoChain, Lindsay notes that the platform itself provides significantly more to supply chain actors. CargoChain’s ultimate vision is to empower the supply chain by providing its platform to application developer communities globally. Initial CargoChain applications are already in development for a number of Australian and New Zealand customers, along with pilots for other significant supply chain projects. In New Zealand there is also significant interest from major food exporters, driven by the need to prove complete provenance with an emphasis on food trust and safety. The transport sector is changing rapidly, driven by a need to lower emissions. We can already see the change on the roads. Now shipping is set for a huge transformation. The fleet in the 2040s and 2050s will certainly be very different to today’s. Last week I joined a conference on the future of transport in Brussels. I will share with you a some of the points I made. In our forecast on the future of energy we see extensive electrification. Electricity will more than double its share of the global energy mix from 19% today to 45% by mid-century. Electrification is happening in all regions and all sectors but is most strongly felt in the road transport sector, and this is especially the case in Europe which will lead the world in the uptake of light electric vehicles. Our forecast predicts cost parity between light electric vehicles and their combustion engine counterparts in the next five years. After this, we expect electric vehicles within a few years to completely take over car sales. What is less clear to many is what is due to happen with maritime transport. As the world’s leading classification society, we have of course looked very carefully at what is likely to happen in shipping. We expect seaborne transport to increase by 37% between now and 2050. In the short term, energy efficient designs and energy efficient operational improvements are going to be critical. These will be driven principally via the IMO guidelines. After 2030 there is a need for large scale uptake of carbon neutral fuels – such as hydrogen, biofuels or ammonia. Electrification is also having an impact on shipping, but primarily in coastal areas and inland waterways where electric batteries can propel the ships. For deep sea shipping, the biggest impact will come from the change in the fuel mix. Earlier this year, the IMO reached a landmark agreement on reducing greenhouse gas emissions by 50% by 2050 – compared to 2008. The reduction target is very ambitious – yet possible I believe. Now Maersk, the world’s largest container shipping group, has thrown down the gauntlet with their announcement on cutting net carbon emissions to zero by 2050. This is a major call to action and a challenge to their whole supply chain. So – what could fuel composition look like, if we want to reach the IMO targets? Our assessment shows that nearly 40% of ships will be powered by carbon-neutral fuels, surpassing liquid fossil fuels such as marine gas oil (MGO) and heavy fuel oil (HFO), which together will supply one third of the energy. 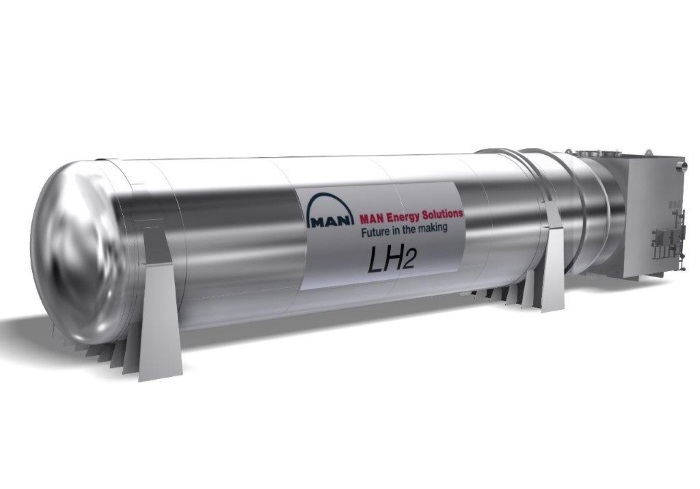 Liquid natural gas (LNG) and liquid petroleum gas (LPG) will grow and account for nearly a quarter of the energy use. Electricity will provide about 5% of total energy. I believe the focus on automation for short-sea shipping is likely to intensify. A month ago, we issued the world’s first Class guideline on autonomous and remotely operated ships. We are closely involved in projects testing autonomous systems. The need to lower emissions will drive technology and innovation in shipping, and the fleet of the future will certainly be very different to that of today. Jo Brosnahan has been appointed for a three year term to 30 June 2021. Phil Twyford says Jo Brosnahan is a very experienced board member with strong governance and leadership skills. “She brings a good understanding of the maritime sector and has broad experience working with ports and harbours as the former CEO of Auckland Regional Council and Northland Regional Councils. Maritime NZ’s core roles are to regulate the maritime sector, promote safety and maintain safety infrastructure, and respond to environmental incidents and emergencies at sea. “Our Government is rebalancing the transport system toward better safety, access and value for money. We are creating a more modern, sustainable transport network. “Maritime NZ has an important role to play in keeping New Zealanders safe on the water and protecting our environment. Jo Brosnahan will be great leader for the maritime community and will help support them to ensure our seas are safe, secure and clean. “I’d like to acknowledge the work of the previous chair Blair O’Keeffe and thank him for his commitment during his two years on the Board,” Phil Twyford said. 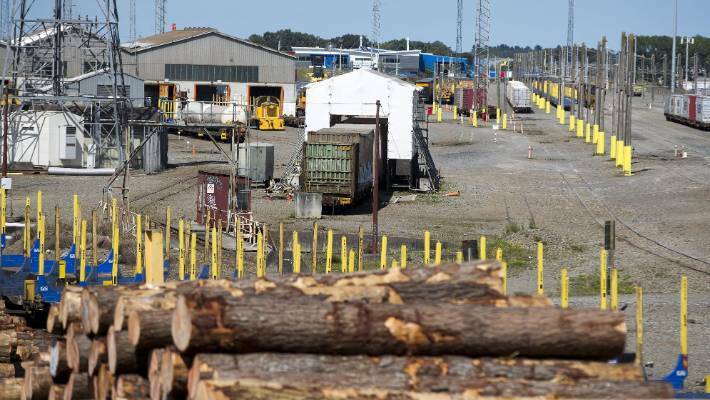 Will new rail freight hub attract $200m in new business? A new freight centre in Palmerston North is expected to provide spinoffs for Manawatū, bringing more business to the region. The Provincial Growth Fund’s $40 million investment in KiwiRail for planning and buying land for the freight centre might be just the beginning, unlocking growth. 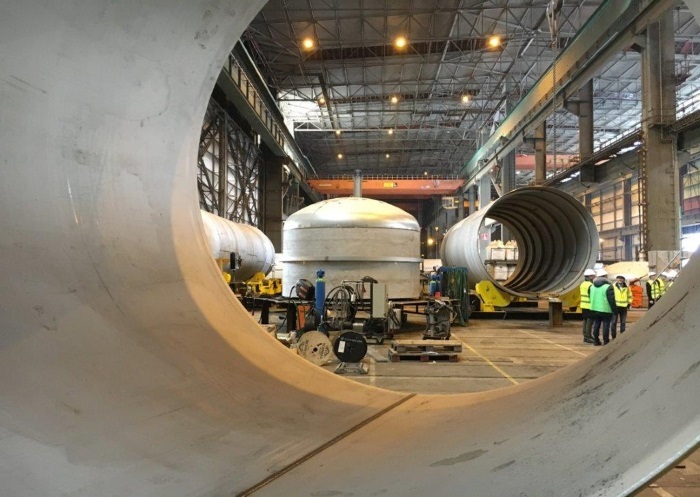 Spearhead Manawatū chief Craig Nash said the development would attract another $200m in investment into the facility, and create new business opportunities. “It will have four times the productivity of the current site. A more efficient transport network, including a planned ring road around Palmerston North and replacement for the closed Manawatū Gorge route, would tie in with the freight centre as part of a broader transport hub. Palmerston North’s railway yards, viewed from the Milson Line overbridge. There are already about 12,000 freight train services operating to, from, or through Palmerston North each year. 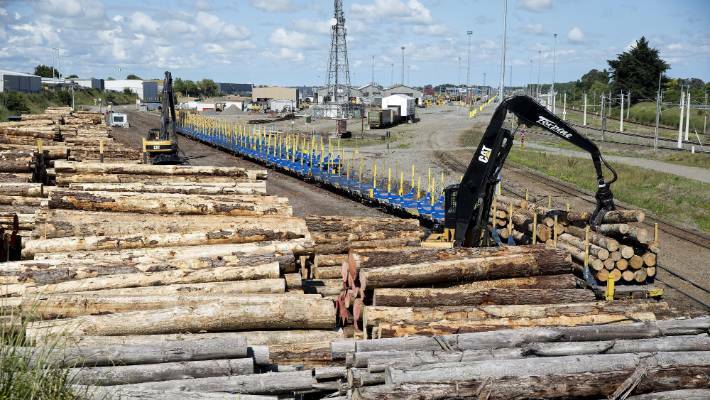 They carry a variety of freight, with pulp and timber accounting for 24 per cent of the 2.5 million tonnes that pass through. Finished dairy products account for 19 per cent of the tonnage, with bulk wine, milk, meat and other produce making up the balance. ​KiwiRail’s sales and commercial group manager Alan Piper said freight volumes were expected to increase by 60 per cent over the next three decades, and KiwiRail wants to secure or improve its share of the market. Rail was two-thirds more fuel-efficient than road, with every wagon on the rails meaning one less long-distance truck on the roads. But Piper said KiwiRail would work with the trucking firms on the project, as freight arriving or being loaded on the railway still needed to be delivered by road. Palmerston North’s rail freight yards are expected to move to land near the airport. Piper said moving from Tremaine Ave to a location near the airport would create new opportunities for businesses and industries that relied on a quick and efficient network for moving goods around New Zealand, and the lower North Island in particular. The northeast industrial area was ideal as it was on the main trunk railway line and near the airport. He said the Government’s injection would pay for planning and buying land. 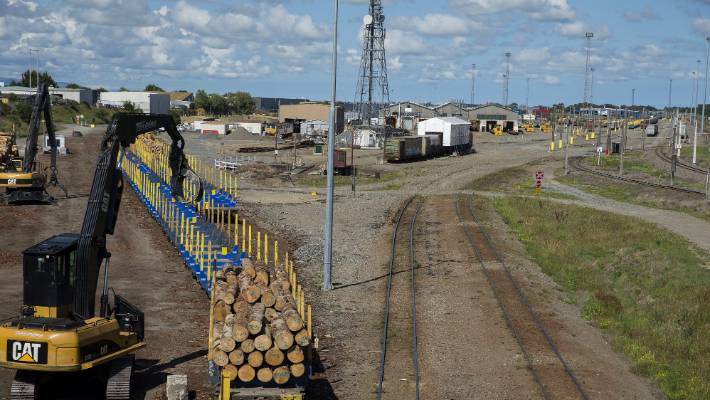 Palmerston North’s rail freight yards are on the move. 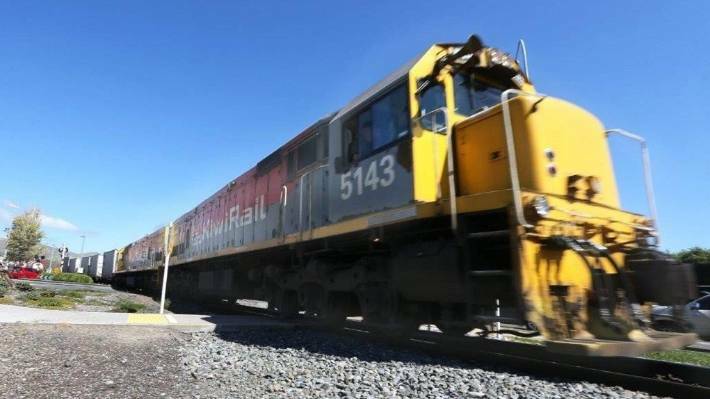 Nash said having KiwiRail and the New Zealand Transport Agency working together on distribution plans was vital to ensuring the planned regional freight ring road connected well to the new site. It would make Palmerston North more attractive for a range of industries and manufacturers. Libyan crude will soon be making the long journey to a refinery in New Zealand in a rare export route for the North African country’s oil, which usually finds homes in Europe and sometimes Asia, trading sources said. The Suez Fuzeyya was placed on subjects on a Zueitina/Ras Lanuf to Whangarei voyage to carry 1 million barrels of crude for a lump sum of $5 million for December 17-19 loading, sources said. The cargo, which will include the Amna grade along with a mix of other Libyan crudes, was chartered by Azerbaijan’s Socar Trading, sources added. A source at the company declined to comment on the details of the trade. This will be the first new time New Zealand has imported Libyan crude in almost three years, according to S&P Global Platts estimates. The crude will be processed at the 125,000 b/d Marsden Point refinery in Whangarei, operated by Refining NZ. A representative at Refining NZ was unavailable for comment. New Zealand mainly relies on crude oil imports from Saudi Arabia, United Arab Emirates, Australia, Russia, Indonesia and Malaysia. The country’s crude imports have been in a range of 120,000-150,000 b/d over the past year, according to S&P Global Platts estimates. The appeal of Libya’s light sweet crude has broadened over the past year driven by higher production and exports, along with strong middle distillate cracks. Asian appetite for Libyan sweet crude has also grown in the past few months as refineries in the world’s largest oil demand center start to run sweeter slates. Libyan crude — which is typically light, contains low sulfur and yields a good amount of middle distillates and gasoline — is extremely popular among refineries in the Mediterranean and Northwest Europe. Libyan oil production has averaged around 1.1 million b/d in the past month, nearing a five-and-a-half-month high and marking a major change of fortune from early June when fighting at key oil export terminals sent production into freefall.